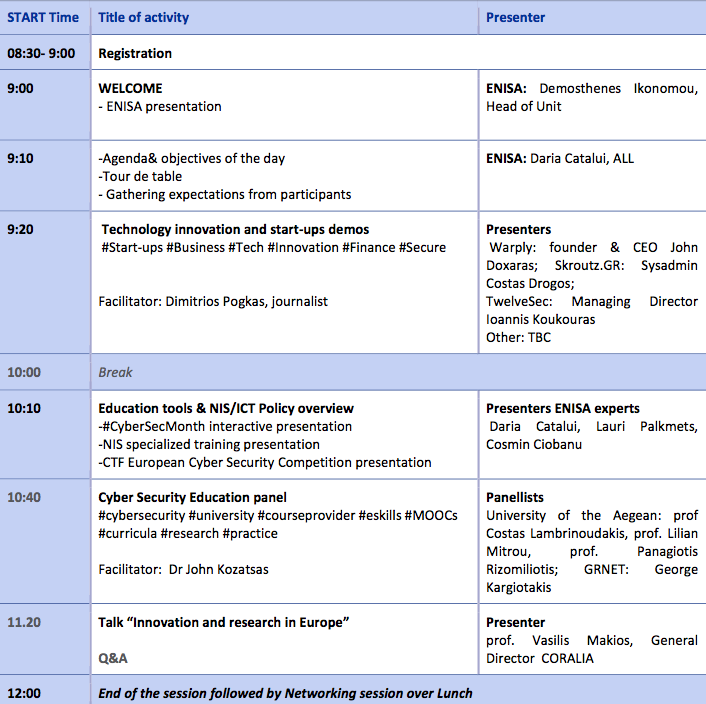 ENISA is among the key stakeholders in Europe in the area of Network and Information Security (NIS). 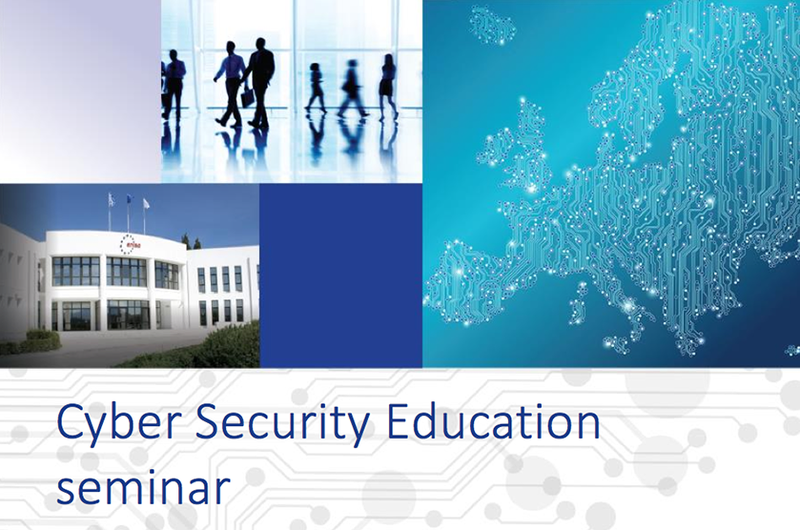 Given its positioning, ENISA is active in the area of education and awareness, using its knowledge to promote NIS skills and supporting the Commission in enhancing the skills and competence of professiona ls in this area. This seminar continues work from previous activities by inviting stakeholders to meet and share best practices. This seminar is organised with educators for educators. The primary targets are professors and trainers that have daily activities in NIS education. The secondary target s are innovators in the field of technology and policy- makers.